Our dealership is world widely known for our beautiful selection of vintage Cadillacs. 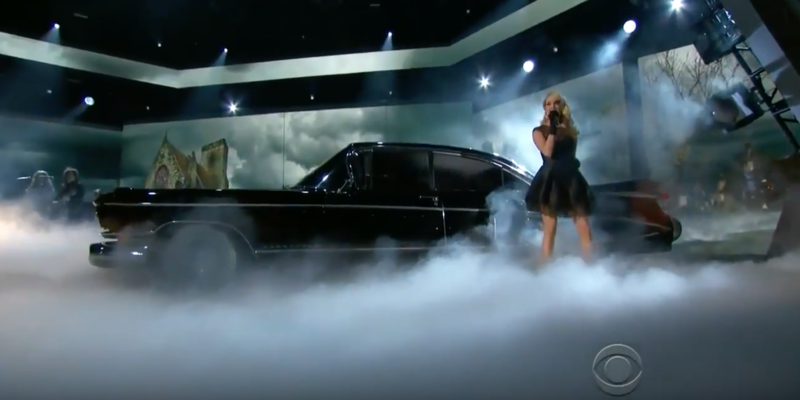 We were contacted contacted by Carrie Underwoods people to provide two black 1959 Cadillacs for her performance at the American Country Music Awards in Las Vegas in 2013. We had two in stock but the problem was one was green. We had the green one wrapped to change the color temporarily to black for the performance. It was a great experience in all. Both Cadillacs were then sold shorlty after to there new happy homes. One went back east and the other to South America! !